Máire’s work for St Mungo set in place many of the core processes for the documentation and care of object goings on display. She married this care of objects with an interest and enjoyment of the people involved with the objects. Once St. Mungo was open Máire was part of the conservation management tasked with providing a unified conservation cover for the whole of Glasgow Museums. This involved exploring the philosophical and practical differences of the branches of conservation and the collections. When Máire left conservation and became a senior curator in Glasgow Museums she took with her a knowledge of the physical requirements of the objects and a strong awareness of its human aspects. Her love of the Indian subcontinent determined the way she approached projects like the Vaisakhi and Singh Sisters exhibitions and the community-led I Belong To Glasgow display in Kelvingrove’s Glasgow Stories gallery, by working from the people to the objects. 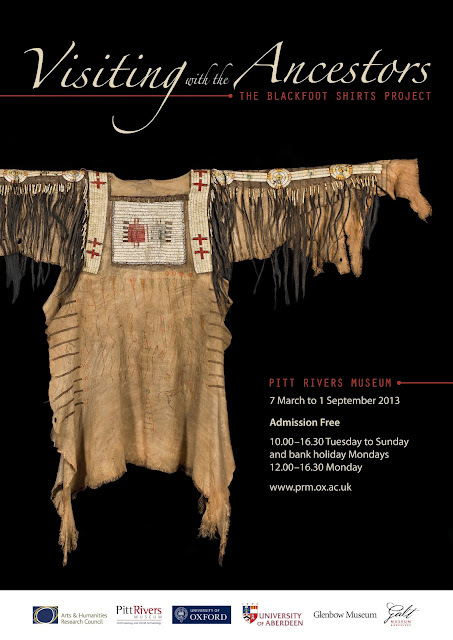 Máire had been involved with the Lakota Ghost Dance shirt from the time of its display in the exhibition “Home of the Brave” at McLellan Galleries. It was following this exhibition the requests for repatriation came. Over the years in which this claim was pursued, Máire became the curator responsible and worked to display the shirt and other Lakota material in ways that would tell the multiple stories of the shirt and the other pieces. Máire combined the museum correctness of the physical care of the objects with an equal care and concern for the people of the past and the present connected to the Ghost Dance Shirt. Her last major contribution before she left the service in 2008 was to the refurbishment of Kelvingrove, for which she was senior curator for the Cultural Survival Gallery and a number of other displays. 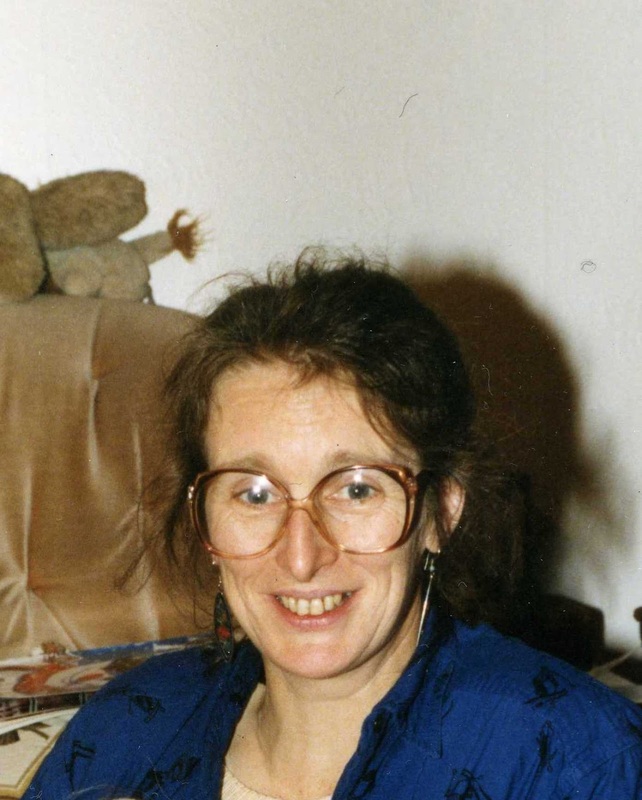 In the years after her time as World Cultures curator, she worked on the Riverside Museum Project, and following her official retirement, continued her active involvement with cultural diversity in museums through DivCom, the Committee for Diversity in Museums as well pursuing her many interests and talents such as water-colour painting, steel drum playing and Indian classical dance. She is survived by her husband and daughter. Máire will be missed by many of us, as a friend and a colleague. The opportunity: to attend the major international conference on ‘The Future of Ethnographic Museums’. Held at the Pitt Rivers Museum and Keble College, Oxford, the conference includes: lectures given by leading authorities on museums and ethnographic collections, opportunities for networking and giving poster presentations, a performance art piece by the acclaimed Aboriginal Australian artist Christian Thompson, and a reception and torchlight music event at the Pitt Rivers Museum. What the bursary covers: the full costs of the conference including accommodation in Keble College, conference dinners, lunches, teas, coffees, attendance at receptions etc., but excluding travel costs. Up to 200 words describing how you could share learning from the Conference within your region. Assessment of entries: assessment will be by ASPIRE staff with support from museum experts. Successful applicants will be informed by May 1st 2013. Decisions will be final. The Whitworth Art Gallery has a very good collection of Scandinavian folk jewellery available for transfer to an Accredited museum. The jewellery dates mainly from the 19th century and includes a number of very fine silver ring brooches, clasps, pendants and other miscellaneous items. The majority of the jewellery is of Swedish or Norwegian origin but there are also two Amager bodice clasps in the collection. A full list of objects and images is available on request. This is probably the largest and best collection of Norwegian traditional jewellery in Britain, and is certainly the best that I am aware of. It would be quite impossible to put together such a collection today, as pieces of this age and quality rarely come onto the market, either in Scandinavia or the UK. Their condition is also generally good; it is rare to find complete sets of bodice fasteners, or objects with all their little pendants intact. The group mainly consists of Norwegian jewellery, but there are two important Danish Amager pieces, two north German buttons, and a dozen pieces from Sweden. All the pieces are silver or silver-gilt, as far as can be seen. Although the objects were received at the Museum at two different times, according to their accession numbers, the two separate groups are not easily distinguishable by eye, and it is possible that they were originally part of the same collection. It appears to have been put together at the end of the 19th century, when traditional jewellery was popular in Britain not only academically but also among fashionable women. Most of the objects date from the first half of the 19th century, and none from later than around 1900. All of the small group of late 19th century pieces which are marked were made by Marius Hammer of Bergen, and it is possible that the whole collection was put together by him for a foreign customer; all the leading Norwegian traditional jewellers of the time, including Jacob Tostrup and David Andersen of Oslo as well as Marius Hammer, sold antique traditional jewellery to foreign collectors. The pieces marked by Marius Hammer are not typical of his usual output, and are more representative of traditional jewellery from other districts of Norway. 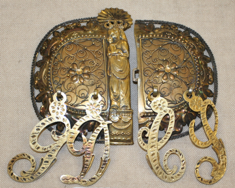 Several of the pieces have been adapted for modern use by the addition of brooch fittings, and this also suggests a late 19th-century Scandinavian origin for the collection. The additional brooch fittings all appear to be 19th-century in date, and one (MWI 7966) has had a petal added which carries the same maker’s mark as the original object. This must have been done either by the original maker himself, or by cannibalising another piece by him. This would have been unlikely outside Norway. The general distribution of the Norwegian pieces also suggests a collection which was acquired at one time, or in a small number of groups, rather than accumulated slowly over time. There are fewer makers represented than would be expected in a collection put together piecemeal. Another striking, and unusual, aspect of the collection is the number of pieces (5 ring brooches and 6 clasps) which appear to come from the area around Heddal in northeast Telemark. Jewellery from this small area is scarce, and there are very few examples published. This would imply a single acquisition.